At the top of my list in my personal life is the fact that I am now finished my course. It was a tough four months (and I underestimated exactly how much work it would really be), but I managed to get it all done and exams written, and if nothing went terribly wrong, I should end up with a ninety-something average. So I am pretty happy with that. Tomorrow is the Day of Silence, organized by the GLSEN (Gay, Lesbian and Straight Education Network). In recognition of this day, Harmony Ink and Dreamspinner Press authors are writing little snippets of stories featuring characters from their books which will be posted on the Harmony Ink website on the 19th. I've written a story with Bran that will be posted on the Harmony Ink website tomrorow, so make sure you head over to read what some of their authors have come up with. To top it all odd, DSP and Harmony are donating 20% of all sales on the 19th to the GLSEN, so if there's a book that's been on your to-read list for a while, tomorrow is the day to buy it! The Make a Play June Daily Dose is available on the DSP website for pre-order. And if that wasn't good enough news, the fact that it is significantly discounted this month makes the deal that much sweeter! 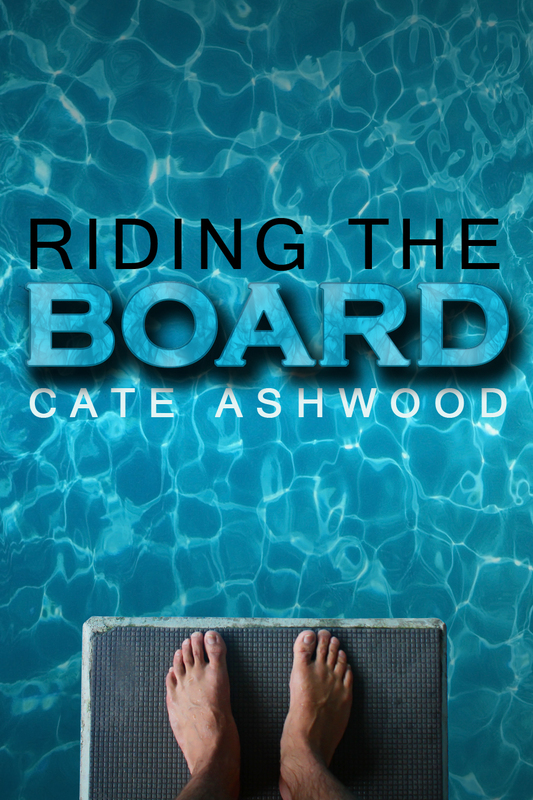 My story Riding the Board is in there with 29 others. Here is the link for the pre-order page. My story is about a couple of synchronized divers. I am very excited to have a story in the Daily Dose this year and what makes it even more exciting for me is that DSP was nice enough to let me make my own cover (although the guy on the group cover is pretty delicious). This was my first shot at cover art and I think it turned out pretty well if I do say so myself! Now that I am all finished with school (at least until my practicum starts), I have more time to spend on writing and getting ready to move in a few months. In between packing up boxes, I've started on a spin-off for Keeping Sweets, (Colt's story) and it's going pretty well. I have it all plotted out in my head, I just need to get the words down. Easier said than done though! I've also started working on another story that I had planned to put off until after I was finished with Colt, but this guy, Charlie, is pretty persistent for a quiet kind of guy, and so I'm juggling both stories at once. It's a little different than the other stuff I've written--a little darker--but I really like it so far and I like where it's going. The other nice thing, is that it is set in Vancouver, so I'm having a blast with a story that takes place where I live. On top of my own writing, I have had the pleasure to beta read/begin to beta read/about to start beta reading several stories that should be coming out from Dreamspinner Press/Harmony Ink in the next year. It's going to be a great year. I don't know how many details I can give, but I can honestly say that if this is what an editor's job is like, I am in the wrong field! All the stories are fantastic and I'm having a great time reading them all. DSP has a really talented cast of authors, I must say! Thanks Dani! I"m workin' on it!